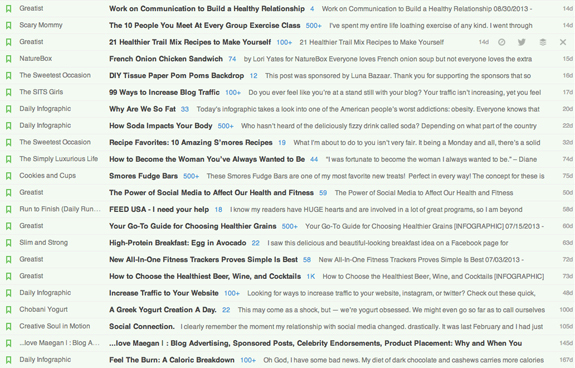 So when Google Reader died, I switched over to Feedly (like a lot of people did). It took me awhile to get used to it, but I finally have the swing of things and (as expected) I really like it. One feature in particular: The ability to "save" posts for later because sometimes, when I check Feedly, I'm only in the mood to scroll for the hot stuff that must be read right that second. But I so don't want to miss out on the not-so-hot stuff that I definitely want to get to. Question: Have you read any great posts lately? Link me in a comment!